So, you’re taking the plunge to invest in a new pool for your home. Your mind is probably swimming with different questions. How much will it cost? How long will it take? What type of pool is best? Should I opt for a salt water, chlorine or mineral filtration system? Here Blue Haven Pool answers some of the frequently asked questions from clients about installing a new swimming pool. Depending on the type of swimming pool designs you are looking to install you should allow between two to six months for the entire design, construction and finishing process. This will vary according to approval time, weather, design complexity and the site on which the swimming pool will be installed. Above ground and fibreglass swimming pools have a considerably shorter installation time then their concrete counterparts. What approvals are needed? Do I need I need permission from my neighbours? If you meet all of the requirements of a Complying Development Certificate, you do not need to notify your neighbours about your swimming pool installation plans. Should your swimming pool construction project require a Development Application, your neighbours will be notified via council. 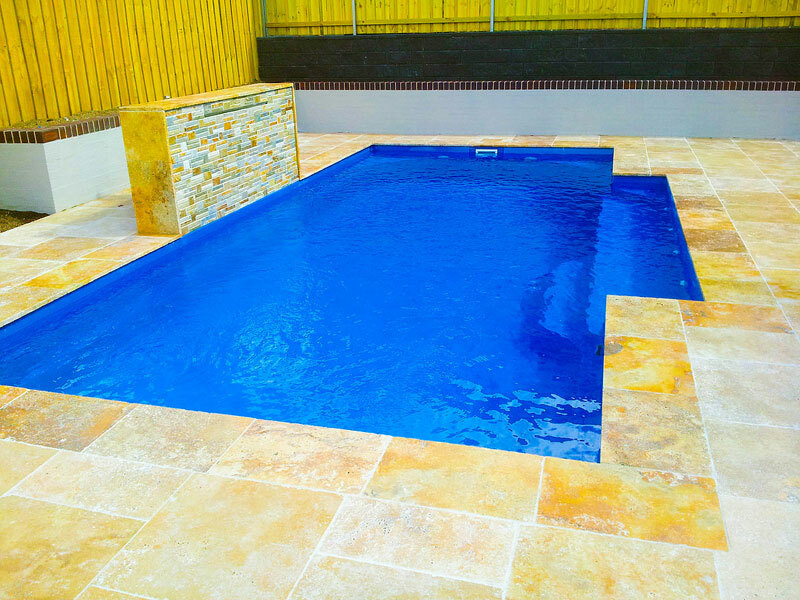 Blue Haven Pools follow the strict Building Code of Australia guidelines and will organise all required certificates and approvals with council to ensure a streamlined process. Should I choose a concrete or fibreglass swimming pool? There are benefits to both styles of swimming pools. A lot will be determined by the site on which you wish to build your pool. Fibreglass pools are more affordable and have a shorter installation time. The drawback is that you have less scope for creativity having to choose from pre-fabricated shells. There are however many various shapes, sizes and colour options to choose from. Concrete swimming pools offer an almost endless choice of design options and are suited to more difficult blocks. They are also more likely to last longer. The old adage ‘how long is a piece of string’ could well answer this question, and the answer depends largely on the type of swimming pool design chosen. Swimming pools range in price anywhere from $25,000 to $100,000 but the average spend is usually between $35,000 to $50,000. While there are advertised swimming pool package deals available be sure to ask your swimming pool builder exactly what is included. Landscaping, lighting, engineer fees, decking and fencing can add many thousands of dollars to the end price. Set your budget and Blue Haven’s team of designers will help find the best swimming pool for you. I don’t have much space, can I still install a swimming pool? There are a number of different options available no matter what the size of your outdoor space. From tiny terraces houses to penthouse apartments, Blue Haven is experienced in creating swimming pools for even the smallest of spaces. Whether you are looking for a concrete design or fibreglass there are many compact options available. Which filtration system is best? Chlorine filtration systems are the longest standing system available on the market and is considered by many to the most effective way to reduce bacteria in the water. Salt is also a popular option, producing chlorine in smaller doses and considered to be less harmful to the skin. Blue Haven’s Enviro Smart Pool harnesses minerals and its superior technology reduces bacteria and is gentler on the skin with a number of added health and energy saving benefits. For the answers to the many more questions you may have about installing your new swimming pool, contact Blue Haven Pools today on 13 20 25.